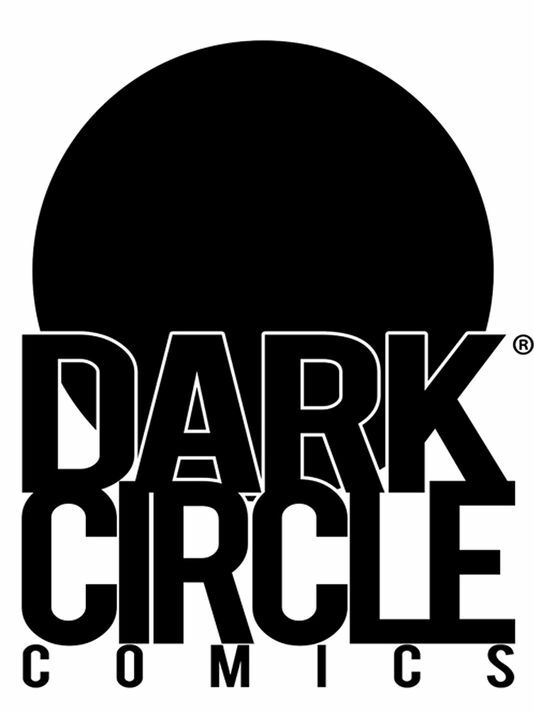 InvestComics recently had the privilege to interview the Senior Vice President of Publicity and Marketing at Archie Comics and Editor of Dark Circle Comics; Mr. Alex Segura. With Archie Comics constantly breaking down barriers, breaking new ground with tremendous story lines, and starting up their new Dark Circle imprint, it was definitely time to break bread with Mr. Segura! Jay Katz: Alex, you were with DC Comics for quite some time. When you made the switch to Archie Comics, did you even envision; a gay character, Archie zombie’s, the death of Archie, etc.? 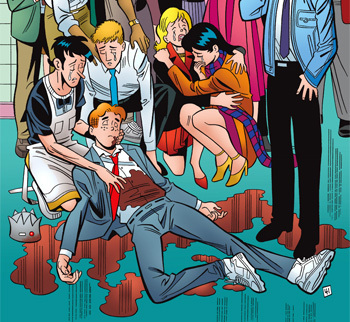 Alex Segura: Archie’s really come a long way in terms of being relevant, vibrant and timely – so I’m excited for the future of the company. It all points back to Jon Goldwater, our Publisher/Co-CEO. His vision for the company has really brought Archie and his friends into the 21st century. It’s amazing to see. JK: Archie Comics has the stigma of being for “kids”. Although Archie has maintained their mantra for carrying comics for the younger audience, why do you feel they have explored so many different areas that may be a bit off center for the company? AS: I wouldn’t call that a stigma – kids comics are hugely important, and Archie is what got me into the medium. I think kids comics are integral to keeping the next generation interested in comics and what we do. That being said, Archie as a character is supremely flexible, similar to Batman. You can see him in different settings and situations and still know who he is and his world, which allows for really creative interpretations, like Afterlife or Life with Archie. JK: So Archie Comics have made a big announcement and from the looks of the reception so far, looks like you have a win here. 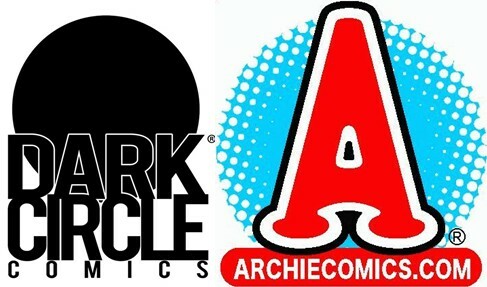 Tell us about the Archie imprint; Dark Circle Comics! AS: Well, Dark Circle Comics is Archie’s superhero imprint, and we’re relaunching three key titles early next year – The Black Hood, The Fox and The Shield, with some amazing talent. The response has been really positive, and I’m excited to be working with people like Dean Haspiel, Mark Waid, Duane Swierczynski, Michael Gaydos, Adam Christopher and Chuck Wendig. We’re trying to really boil these books down to what make these characters great and bring a more novelistic and literary feel to the books, so it’s less about continuity and history but more about story and what’s coming up, while still respecting the past. JK: What can fans expect to see as far as storytelling with the edger tone? AS: I think fans can expect these books to be about the creators’ vision for these properties – it’s really the Afterlife model expanding into there Archie properties, where you get great creators and let them cut loose and really do what they do best. JK: So we will see heroes and villains from the Red Circle imprint. Will they be completed updated as far as appearance? What about their origins? AS: It depends. Everything’s on the table. I think you’ll see some characters that are completely different while others are closer to their original incarnations. It really depends on what works best for the current story. JK: Will we see new heroes/villains introduced into the fray? AS: Yes, definitely. We want to reimagine the core characters and also introduce new properties. JK: What about creators? Will be see the awesome Archie family on some books, like Dan Parent, Dan DeCarlo? How about creators from the big two? AS: We’re talking to a lot of talented people – but it’s too early to announce any more of the lineup. But we do have some big announcements planned once we launch the first wave, so stay tuned. JK: Besides giving comic fans some great content with the new imprint, do you foresee a possibility of getting some Dark Comics characters to film or television? AS: I’d love that. We’ll see what the response is like to the books once they’re out. JK: What can you tell the fans that might be on the fence about Dark Circle Comics? AS: If you like shows from HBO, FX or AMC – really curated and thoughtful programming that focuses on character, story and drama, then these books will be in your wheelhouse. We’re respecting the past but aren’t beholden to it, and we’re trying to remind people why these characters are great without using continuity as a crutch. 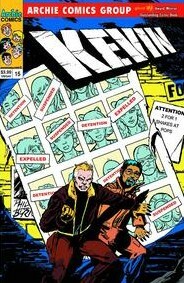 You don’t need to have read anything before THE BLACK HOOD #1 or THE FOX #1!, etc. The launch issues will be perfect jumping on points. JK: When will we see some teasers? Fans love the tease you know! 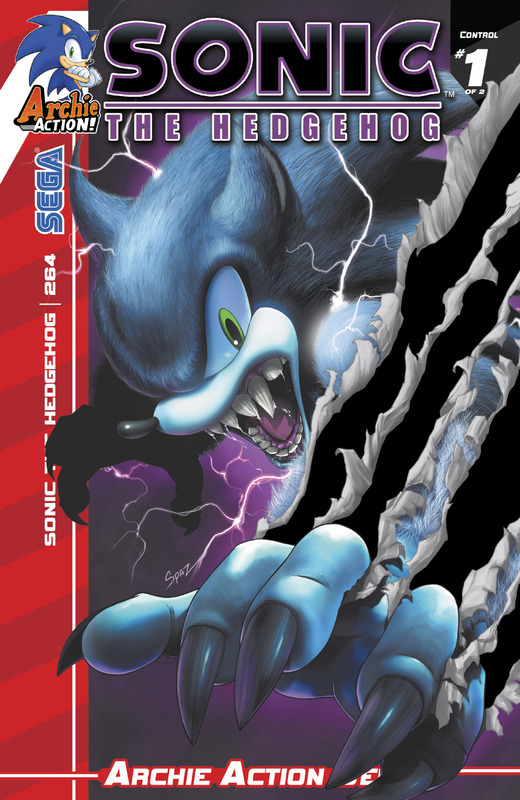 AS: You’ll see some new art and news in advance of NYCC. JK: Where can we follow the latest about Dark Circle Comics? AS: You can find us on Twitter, Facebook and darkcirclecomics.com.